Whether it's from the NES, SNES, MAME, or any other system, you can find some emulator movies here. Starting out, there will be very few movies (obviously). I encourage anyone to send me their movies that they would like posted on the site. If you decide to do so, please follow the general guideines here. Otherwise, come on in and peruse the archives. Here you will find a few guides/FAQs that I have pieced together over the years. The information has (more than likely) been taken from a variety of sources, but I have compiled them into an easier to read format for quick reference. Store List Multiple Side scroller fighting game that a friend of mine like a lot. I myself wasn't as gung ho about it. Item List Multiple Another RPG for the SNES that plays nicely. Item List Basil Brush's FAQ on GameFAQs.com I only recently played the translated version of this game. The job system is a pretty neat twist for this RPG series. 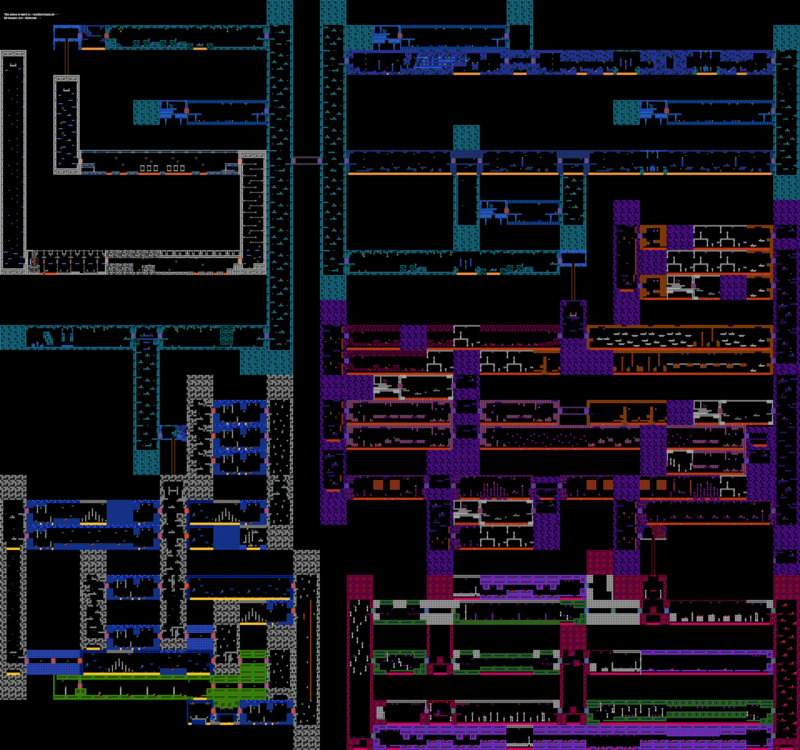 Here you will find some graphical maps of many video games out there. I have created some of these maps myself to make it easier to navigate through the games. Many of the maps I have found elsewhere on the Internet. A good place to find a lot of maps is www.vgmaps.com. NOTE: Please do not download the maps that I have created and post them on your site claiming them as your own. I spent a lot of time getting these screenshots. As long as you give me credit, you can host them on your site. Downtown Map (main level) Justin Pasher Ahhh, what a fun game. At least it is the first time you play after. After you beat it, you can only stand playing it again once in a rare while. 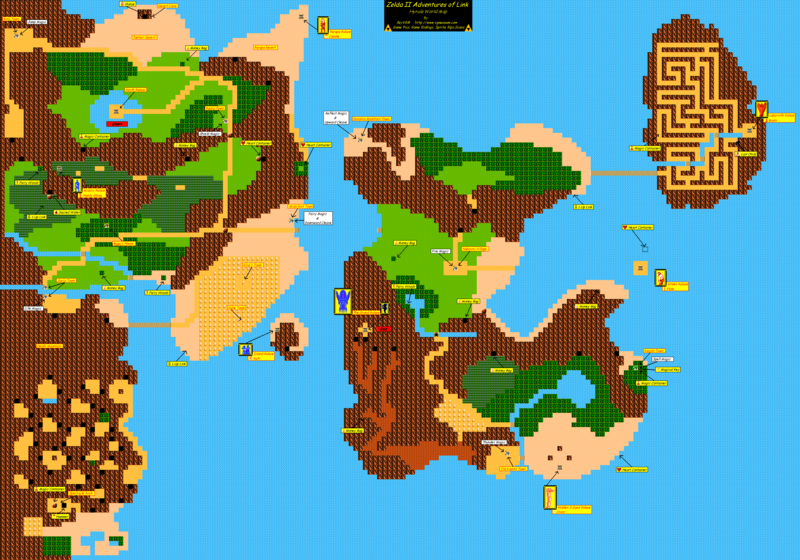 Overworld Map VGMaps.com One of the great RPGs available on the NES. I never actually played Dragon Warrior 2-4 much, but I do remember playing this one for the first time. Once again someone has already done the work for this one (thanks! ), so I provide the links. All Maps Final Fantasy Classic A classic RPG that is still being developed today. First Quest IGN.com You can't deny that the Legend of Zelda is one of the greatest series ever created. I was thinking about making maps myself for this game, but it turns out someone else has done a LOT of work already. So instead of me wasting time, I provide copies of the maps from the other site. These maps were created by Daniel Engel. Overworld Map GameFAQs.com Another great game, although some may debate how good it is compared to the other Zelda games. Coming Soon Justin Pasher I am currently in the process of capturing these (as I was unable to find existing maps on the Internet). Complete Map VGMaps.com I never got into this game very much, but there are many out there who are big fans. WARNING: This map is HUGE. All Maps RPGClassics.com One of the first games I ever played on the NES. Classic, IMHO. 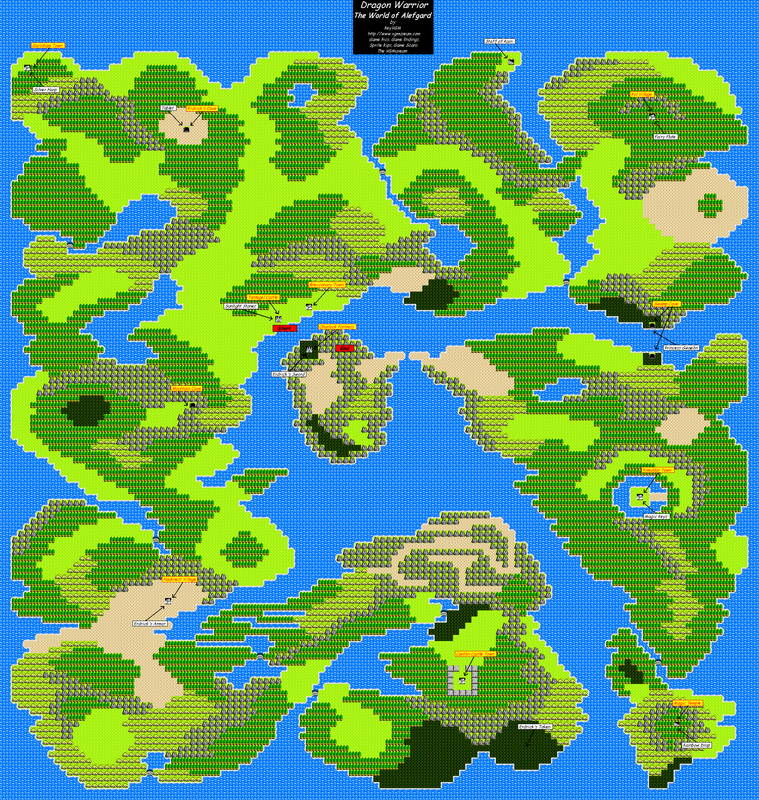 Overworld Map Justin Pasher Another game that only lasts so long before you get tired of it. Compared to other RPGs, this game is kind of a joke, because it's actually possible to get STUCK in the game (if you don't have the necessary items, etc) when you near the end and you have to start over from your last save point!